Here at Angel Publishing, we don’t tell you what to think. But we do pay attention to what the market thinks, and we tell you how to profit from it. Some of you may disagree with the consensus that man-made greenhouse gas emissions are causing unnatural and harmful changes to our climate. And that’s fine. I’m not writing this article to recruit you to the environmentalist cause. I do need to say this, though: The market clearly believes that climate change is real and worth doing something about. 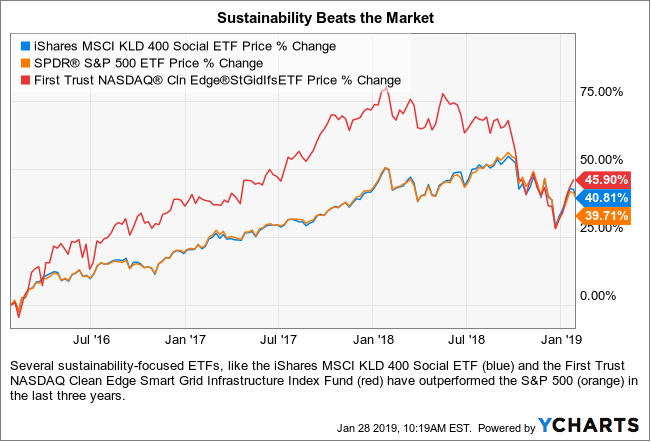 That’s why several sustainability focused ETFs have outperformed the S&P 500 in recent years. A majority of investors — and a majority of the policymakers who control the government’s purse strings — believe that climate change is a serious enough threat to warrant big investments in CCS technology. Now that we’ve gotten that brief disclaimer out of the way, you may be wondering, what the heck is this CCS thing? 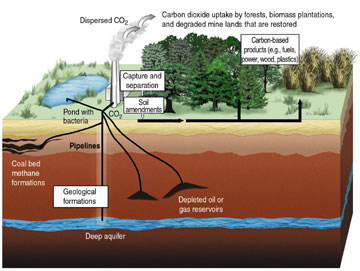 Carbon capture and storage (CCS) goes by many names, like carbon scrubbing, carbon sequestration, and clean coal technology. CCS is currently a bit expensive for obvious reasons — it adds some extra steps in the power generation process. But the cost of those extra steps has been falling steadily over time. A recent report from the Global CCS Institute, an industry group, suggests that a decade from now, it might be cheaper to operate a coal power plant with CCS than it currently is to operate a non-CCS coal power plant. In the long term, in fact, CCS could be a much more affordable solution than retooling all of our infrastructure to stop emitting greenhouse gases. A variety of companies, from tiny startups to multinational energy majors, are working on developing affordable CCS implementations. And several market forces could make it a very profitable investment opportunity in the next few years. The 45th president isn’t exactly known as a fan of government spending on green energy projects. 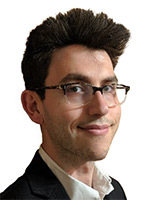 This is the guy who once tweeted that global warming is a Chinese disinformation conspiracy, after all. Yet Trump’s opinion of CCS technology is actually quite positive. He’s been talking about “beautiful clean coal” — a reference to one type of CCS — since 2015. And last February, he signed a budget bill that could kick-start investment in this technology. Section 45Q of that bill, the Bipartisan Budget Act of 2018, contains a slew of tax credits for CCS technology. These tax credits allow power plant operators to collect tax credits for up to 12 years by capturing carbon dioxide emissions. Operators can earn up to $35 per metric ton of carbon dioxide if they reuse the gas or up to $50 per metric ton if they bury it. Now, $35 to $50 may not sound like much. But consider this: Southern Company (NYSE: SO), one of the largest coal plant operators in the U.S., produces 172 million tons of carbon dioxide per year. Even if Southern Company captured just a fifth of its annual emissions, it would still earn more than $1.2 billion per year in tax credits. But energy industrialists and pro-business politicians aren’t the only people pulling for CCS technology. Climate scientists and environmental activists are promoting it, too. Stay on top of the hottest investment ideas before they hit Wall Street. Sign up for the Wealth Daily newsletter below. You'll also get our free report, "4 Solar Technology Stocks You Must Own" by our expert research team. Climate scientists have been warning us for years that we only have a limited amount of time to stop climate change. Why? Because greenhouse gas emissions beget more greenhouse gas emissions. Climate change (and its cousin, ocean acidification) is starting to cause die-offs of plant and animal life in a variety of fragile ecosystems like wetlands, oceans, and tundra. The problem is, all these dead plants and animals release methane as they decompose, which is itself a potent greenhouse gas. This is what scientists call a positive feedback loop — rising temperatures cause die-offs, increasing methane emissions, increasing temperatures, causing more die-offs, and so on. And there’s a sobering implication to this feedback loop phenomenon: There’s a “point of no return” in the not-so-distant future. A 2018 study predicted that if we don’t make drastic cuts to greenhouse gas emissions before 2035, the average global temperature is almost guaranteed to increase by more than 2 degrees Celsius due to skyrocketing “natural” emissions. At that point, it wouldn’t make a difference if we cut emissions to zero in 2036 — we’d still be in for catastrophic sea level rise, global droughts, chaotic human migrations, and all that other terrible stuff. If we cross this point of no return — and we probably will — CCS might be one of our only ways to save ourselves. That’s because some biomass-powered forms of CCS technology can do more than just neutralize emissions. 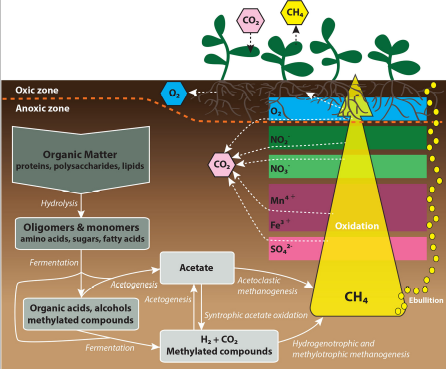 Techniques that use carbon-eating plants and microbes can actually produce negative emissions by pulling existing greenhouse gases out of the atmosphere. At this point, we’ve covered how CCS is good for the energy industry, has bipartisan support, and might be our only hope of averting a worst-case climate change scenario. So how can you invest in it? Unfortunately, it ain’t easy. There are a few companies that are purely focused on CCS technology, but most of them are private startups. Several energy majors, like Royal Dutch Shell (NYSE: RDS), Chevron (NYSE: CVX), and NRG Energy (NYSE: NRG) have CCS projects in the works. But these CCS projects account for a small fraction of these firms’ total operations. And besides, it’s a bit silly to invest in a climate change solution through companies that are massive contributors to climate change. Our research team just discovered one small, publicly traded company that is mainly focused on CCS development. It’s a perfect way to get exposure to this crucial technology, and it’s got an excitingly robust set of financials to boot. We’re still finishing up the report, but stay tuned for more info on this rare CCS pure play in the next couple weeks.